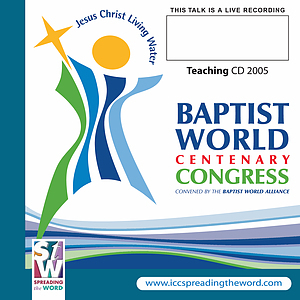 The Kingdom Of God is a Rick Warren talk recorded at Baptist Assembly - 2005 on Practical Christian Life available as CD format. Rick Warren, author of the book "A Purpose Driven Life" challenges us to question which kingdom we are living for - God's or ourselves. In a time where the Church seems to spend more time debating the Bible than doing it, Rick passionately asks us to stop criticising and instead co-operate and for the Church to be known for what it is for and not what it is against. Will we walk away or will we accept the challenge and live for the Kingdom of God? Be the first to review The Kingdom Of God a talk by Rick Warren! Got a question? No problem! Just click here to ask us about The Kingdom Of God a talk by Rick Warren.